As with many of you, I’m concerned about the way my eyebrows look. I have hairs always sticking in different directions. Besides my brows aren’t naturally thick or full. So I desperately need to tame them, define and shape. And Anastasia Beverly Hills will definitely come and help me out. I want to try all her brow products and each time I’m shopping online or walking in stores, I have to restrain myself. So, I bought only the most needed for me product by her and that’s the Brow Powder Duo. The packaging is straightforward and nice. It opens up 180 degrees. There’s a useless mirror which is too tiny to see anything in it, although I use it on a go. I have my palette in the Dark Brown color which is claimed to be for brunettes. I know that they also have colors for blondes and gingers. The color looks lighter in the palette, though I find it ideal for blending. On my eyebrows it doesn’t look fair and that’s the most important. No one has ever mentioned that my brows look unnatural or anything. The product doesn’t look red, as it has gray undertones which I’m very happy about. 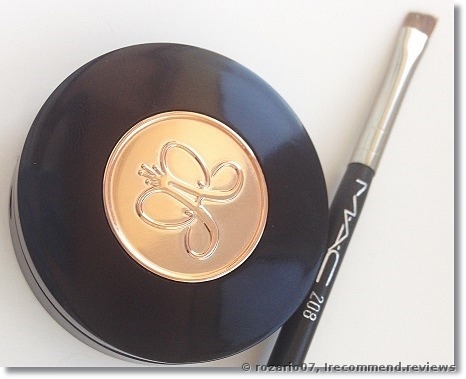 The powder is tightly pressed and thanks to that, the color payoff is just amazing. I like to contour my eyebrows with the dark color and fill them in with a lighter shade. Let’s have a look at the product “in action”. On the left there’s nothing on my brows and on the right I contoured my brow with a darker shade. Total look. My brows are contoured with a darker shade and filled in with the lighter one. On my left brow I shaped with wax a bit while on the left I applied some wax brow pencil. In the photos the product may look a little bit red but it’s not in life. 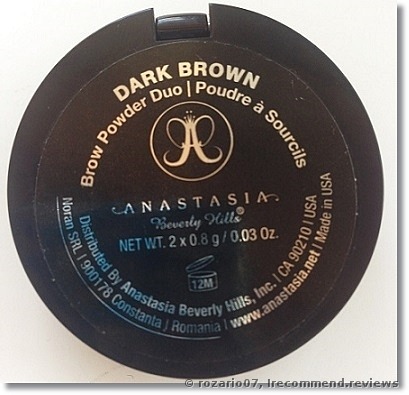 I really recommend the Anastasia Beverly Hills Brow Powder Duo as with this product you can get the “my brows but better” effect which will look absolutely natural. I bought the palette for $23. Thanks for spending these minutes with me! 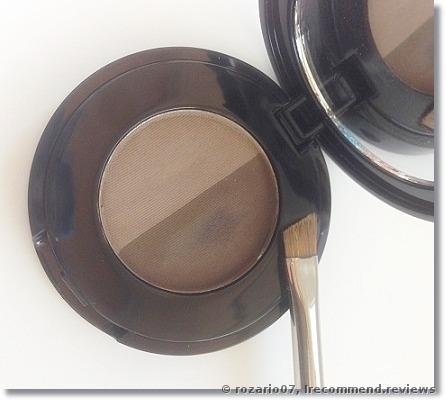 I want to share my experience of using the Anastasia Beverly Hills Brow Powder Duo. These products are highly praised by make-up professionals and make-up lovers all over the world. Anastasia is a leader in the brow world! The palette with these products will never leave you indifferent.